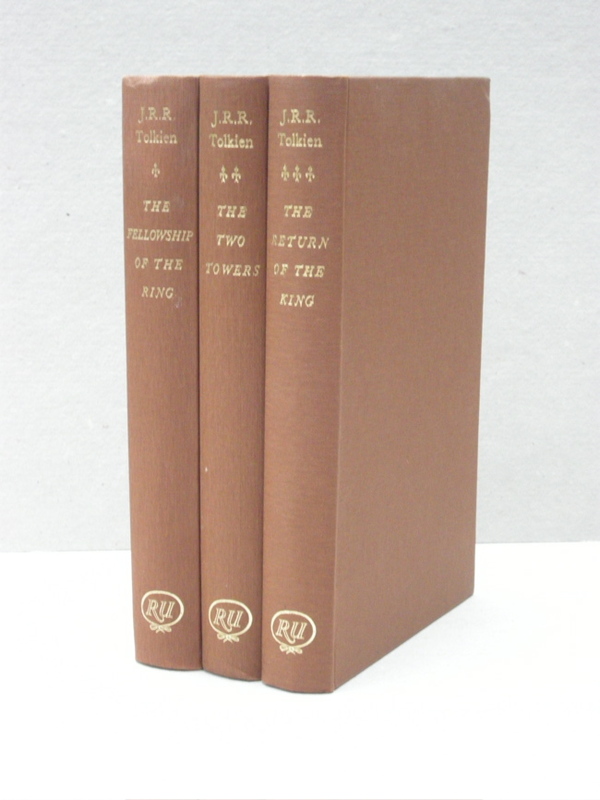 #CLP0080A - 1960 Readers Union Lord of the Rings in facsimile dust jackets - € 350,- A fine set of this unusual presentation of Tolkien's trilogy. 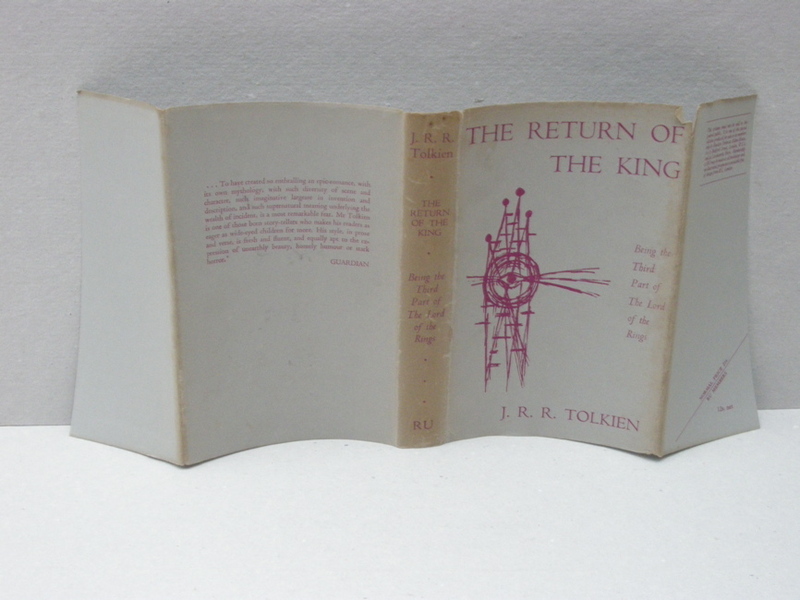 No offsetting or foxing on the endpapers. A very solid set with clean text block. 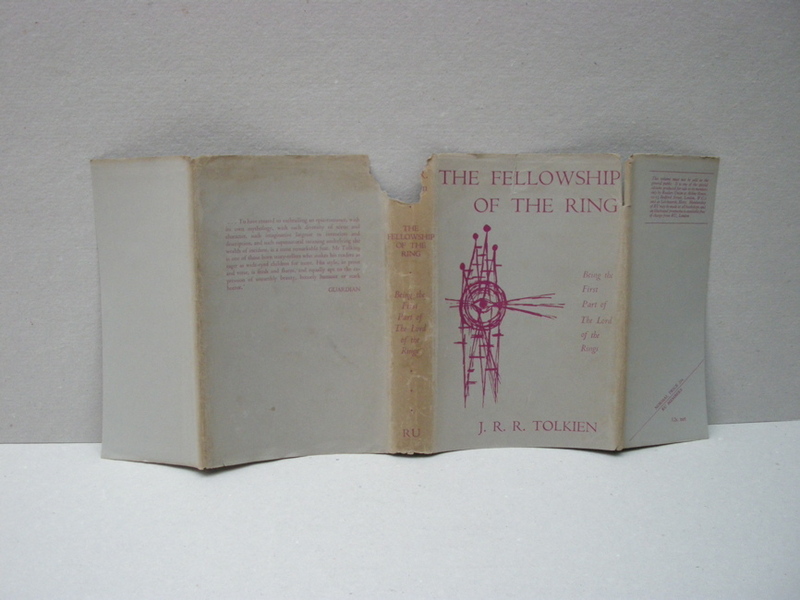 Shows only some minor spots on very few pages. 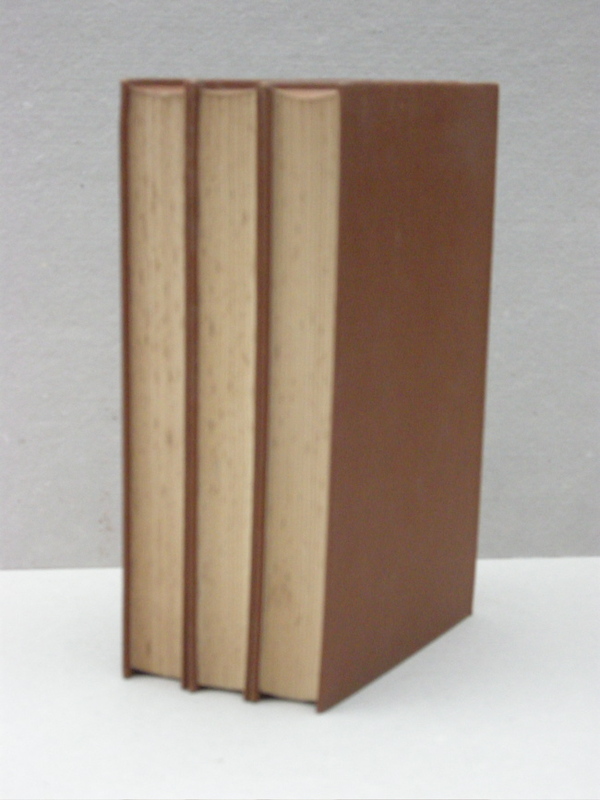 The spines have faded and show some brown spots, rest very fine. 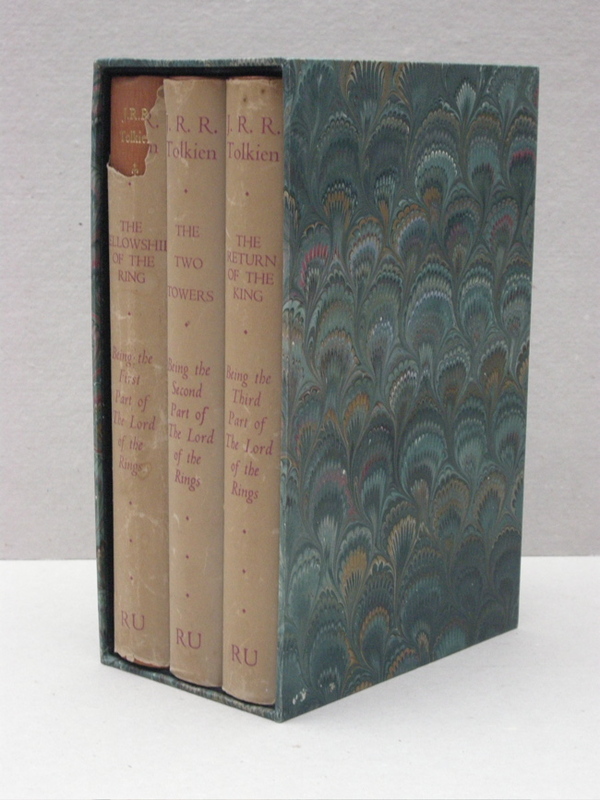 Housed in the facsimile dust jackets to protect this lovely set and give it back it’s unusual design. 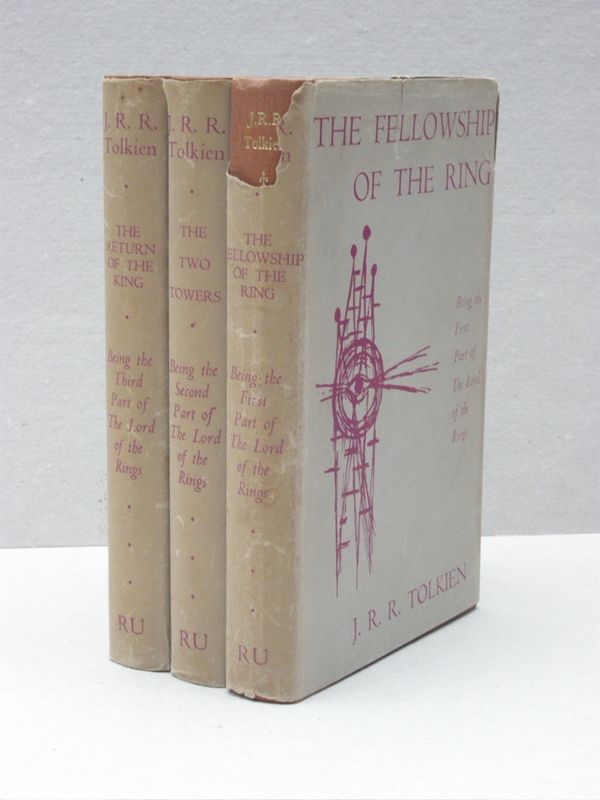 These are the set that features the early line drawing by Tolkien of "Sauron's Eye". 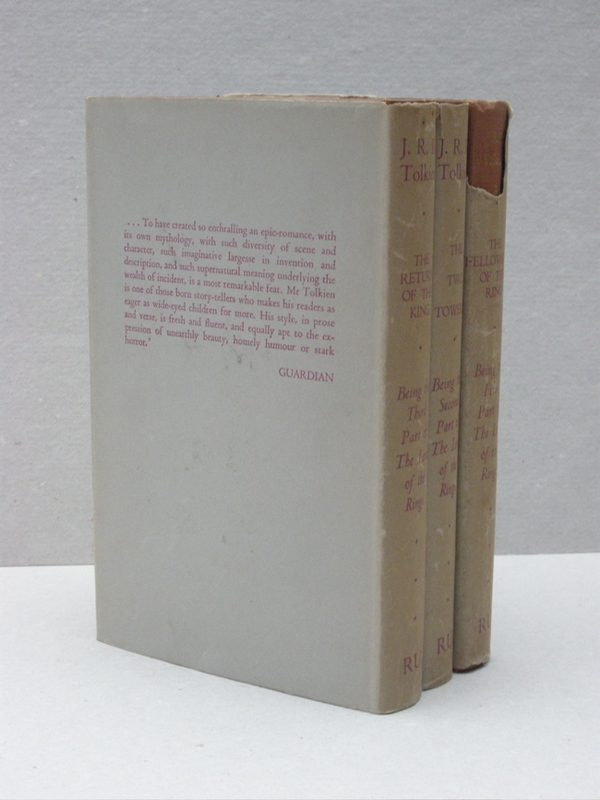 The only set to have this particular and very unusual dust jacket. 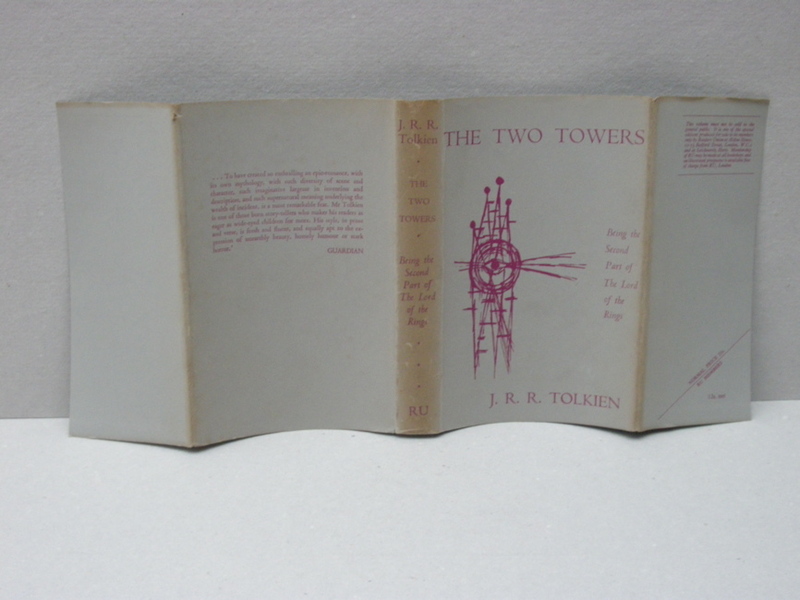 Maps in Near Fine condition in the back. This is a fabulous set and presents beautifully.